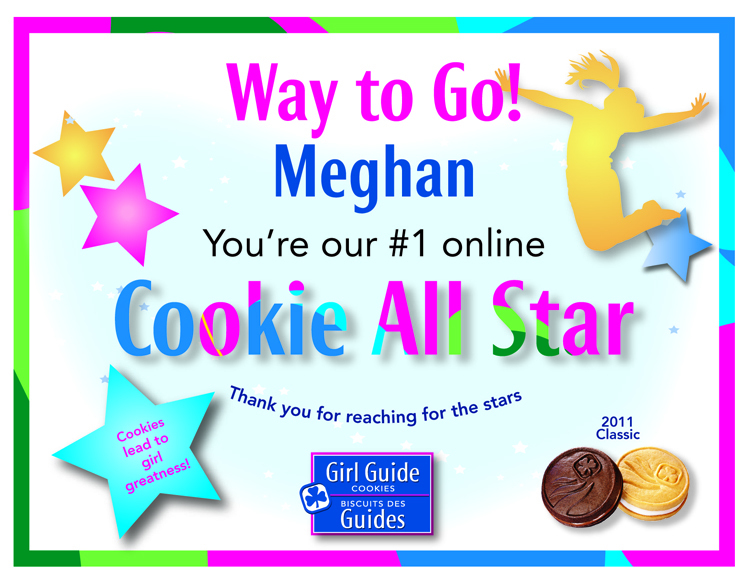 We found our Online Cookie All Star for Spring 2011! #1 Online Cookie All Star! You had the closest number of guesses in total for all of the daily questions during GGC’s “What Can a Cookie Do?” blog contest! Meghan won 6 boxes of Classic Girl Guide Cookies, a GGC RESPECT T-Shirt and our respect! Thank you also to all the wonderful participants who worked hard at following our treasure hunt clues! Wondering about the answers to those fabulous cookie questions? You’ll eat up these cookie statistics! Read on! Get your Girl Guide Cookies! Get your Girl Guide cookies! Here in Girl Guide land, the most obvious sign of spring’s impending arrival (see ya, winter!) is the arrival of the Classic chocolate and vanilla Girl Guide cookies. And just how much do Canadians love their Girl Guide cookies? Well this spring, Canadians will consume almost 54 million Girl Guide cookies. That means…..
A trail of cookies starting in St Johns, NF would reach Windsor, ON or from Vancouver, BC to Thunder Bay, ON. Stacked one on top of each other, the chocolate and vanilla cookies reach a height of 540 km. That is enough to blast you to the top of earth’s atmosphere and turn you into an astronaut. Place those 2.7 million cookie boxes end-to-end and you could travel from Ottawa, ON to Saint John, NB. Stack the boxes one on top of each other and it would reach 134,987m. That’s 15 times the height of Mount Everest! It would take 12 Sparks more than four years to consume every chocolate and vanilla cookie sold in 2011. That’s a lot of cookies (not to mention 12 Sparks with big tummy aches). 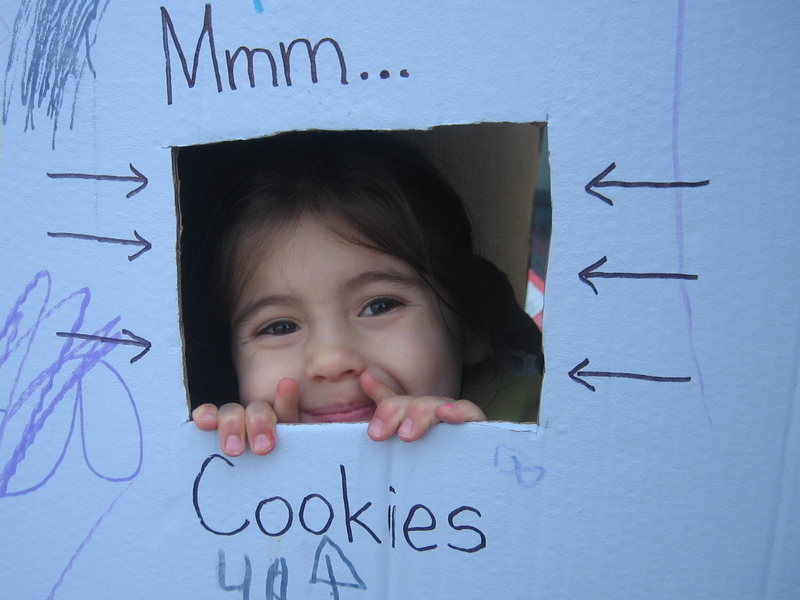 462,000 kg of flour is needed to bake a year’s worth of Girl Guide cookies. 418,000 kg of mint cream and vanilla/chocolate icing is used to fill the 111 million Girl Guide cookies baked in a year. 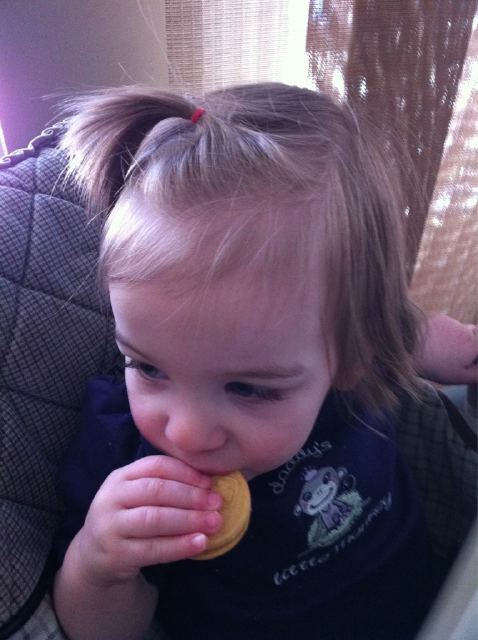 Future Girl Guide Cookie Entrepreneur. Photo By Stephanie N.
So whether you’re a die-hard chocolatey mint fan or a more traditional classic chocolate and vanilla aficionado, remember that you’re part of one huge Girl Guide cookie fan club that is helping achieve Girl Greatness one big bite at a time! Looking for Girl Guide cookies? You can buy them this Saturday, April 2, during Cookie Day at Sears, at select Sears Canada locations!